I simply love this meal. I made it for dinner, ate it for breakfast and Brian had it for lunch leftovers. 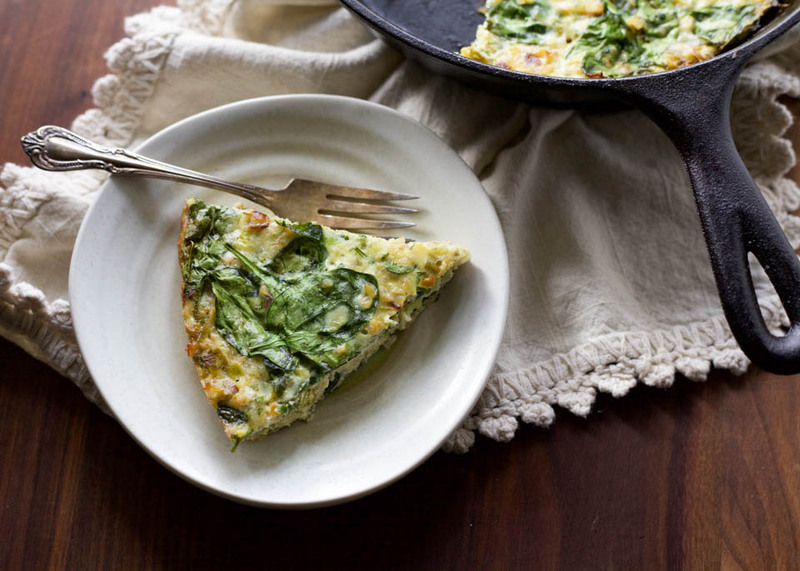 I’ve had many a frittata but never with added grains in it, which makes it a more nutritious and well rounded meal that fills our bellies and that is a happy dance time right?! 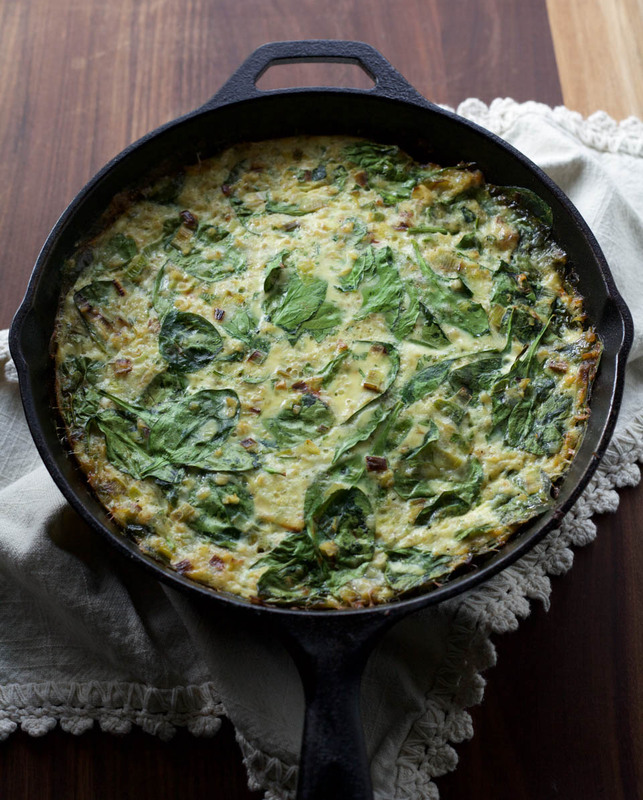 This is a mash up of frittata recipes from all over the place. I made one that works for our family and how we do things. I love carbs, no doubt about that. But when it comes to dinner, adding a healthy and filling choice is perfect for me. It satiates the carb want but keeps tummy full and it’s a good grain. You can use freekeh, which I absolutely love. It’s nutty and slightly sweet. But if you have brown rice already in the pantry, totally use that instead, they both taste great! You can also tailor the cheese to your cheese love. I love mostly all cheeses but some on my favorite ones for frittatas are goat cheese, white cheddar, romano, fontina, or manchego. Any of these choices will work great, taste good, and the flavors work with the other ingredients. SO make this for your family and your taste, it will help you make it again and again. Which is good because it’s good for us and tastes so good! 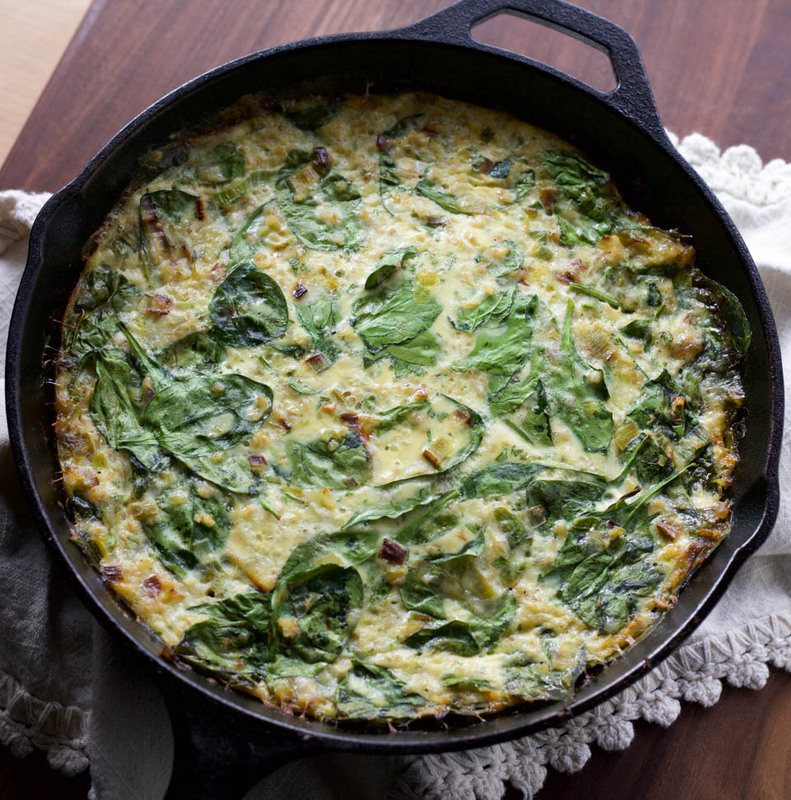 For even more tasty health, make a simple side salad or roasted vegetables to go with this Freekeh Spinach and Leek Frittata! Watch my segment from ABC’S Afternoon Live! Place oven rack in top third of oven and preheat to 325 degrees. Heat 1 tablespoon olive oil over medium low heat in an oven safe 10 inch skillet. Add leeks, stir and cook for 8 minutes, stirring occasionally. While leeks cook, in a large bowl add eggs and milk, whisk really well to combine using a large fork. Then add cooked freekeh or rice, cheese, 3 tablespoons parsley, and 1/2 teaspoon salt and pepper. Once leeks are cooked, add to egg mixture, fold in leeks and spinach using a spatula. Add 1 tablespoon to the skillet over medium heat. Pour egg mixture into pan and cook for 3-5 minutes, until edges are set. Once edges set, place pan in oven and cook for 25-30 minutes or very lightly golden brown on top. Remove from oven, slice and serve with fresh chopped parsley. Store leftovers in the fridge for one day. Enjoy cold oe very lightly warmed for lunch or dinner with a salad. this looks amazing. Sounds like it is time to try freekeh! Yes! Thank you so much. I hope you love freekeh like I do :). 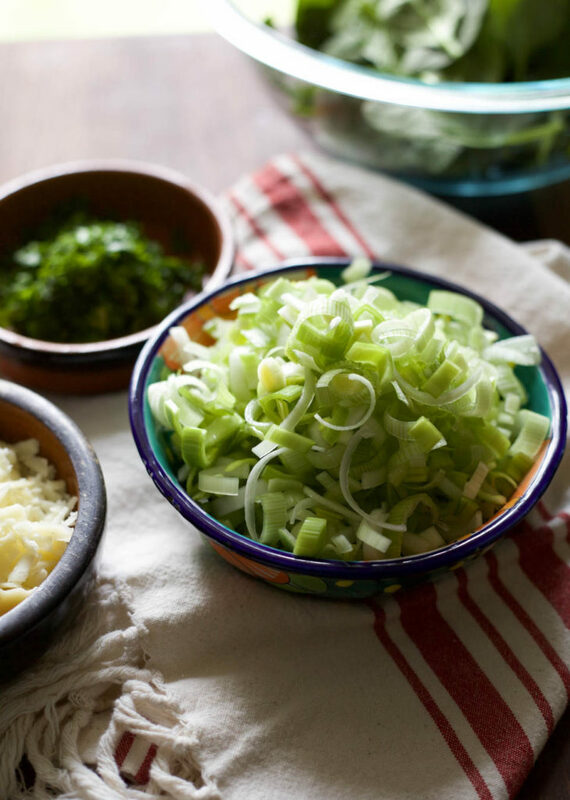 I adore leeks so much, they’re my favourite vegetable, so this is right up my street! I love leeks too, thank you! What a perfect breakfast or brunch idea! Love the flavors in this! Thank you so much! I just loved this one and eat it often.